This thing gave me scars, both inside and out. I just received a shocking piece of news: the Easy-Bake Oven, storied toy from my childhood, will be no more. Or, at least, no more the way it was. And we have energy-saving tree-huggers and politicians to thank for it. As you may know, incandescent light bulbs are going the way of the dodo, with the United States adopting more stringent energy-efficiency standards for light bulbs (the standards will be phased in from 2012-2014) . Though incandescents aren’t being outlawed per se, it is unlikely that they will be able to meet those new efficiency requirements (roughly 25% increase in efficiency), effectively banning the general purpose incandescent lighting that most of us use. 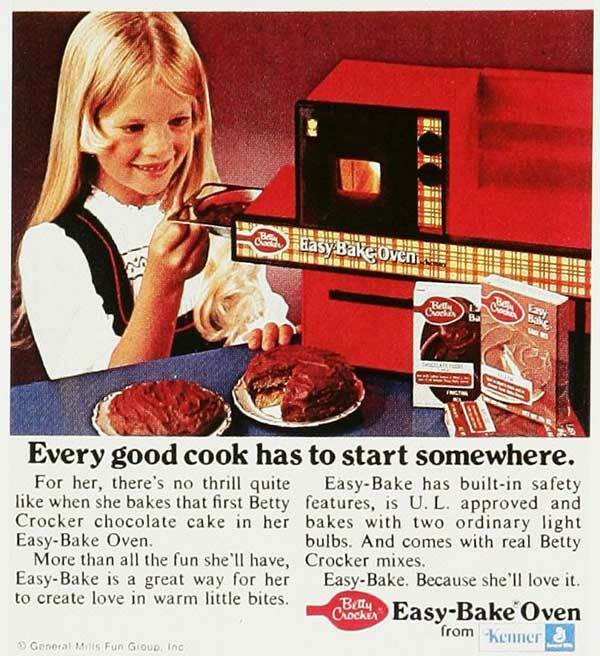 But, sadly, it’s that very energy-inefficiency (i.e., wanton and blatant heat production) of a standard 100-watt incandescent bulb that allowed the Easy-Bake oven to work its magic and cook those tasty little cakes. Fact of the day: Approximately 90% of the power consumed by an incandescent light bulb is emitted as heat, rather than as visible light. “Easy-Bake Ultimate Oven”. Whatever. It’s no fun if there’s not a chance of getting second-degree light bulb burns. Next Next post: March Madness Upset = Free Pizza! Did you really own one? And bake a cake???? Not sure all the fuss is worth the hype?? I did really have one, and my mother didn’t let me play with it (at least that’s how I remember it). It wasn’t all that great, I guess, but it’s a very vivid childhood memory that has become folklore in my family. Not hype! LMAO this was a great read! I had one of these, too. I remember the cakes being kinda gross. Even though you could make the tiny little cakes with regular cake mix or you could buy special tiny mixes, they always turned out kinda shiny and rubbery. Of course, I ate and served thme anyway, cuz it was sooooooooooo cool. The cakes were definitely gross, but since my mother wouldn’t let me use the real oven, it was all I had.